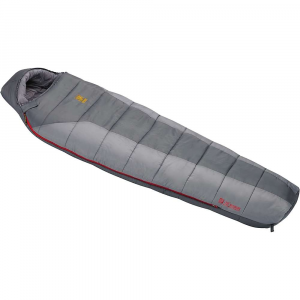 Dont let the arrival of cold weather end your camping season extend it with the SJK Ronin -20F Sleeping Bag. Layered, offset, quilted construction prevents cold spots so your warmth is evenly distributed throughout the entire bag. 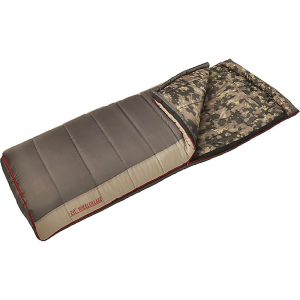 Slumberloft synthetic insulation traps your bodys heat for warmth throughout the night. Draft tubes along the zippers keep cold drafts from getting in and prevent heat loss. Contoured jacket-style hood can be inverted when not needed and used as a pillow. External hook-and-loop tabs and dual zippers simplify use with both arms out of the bag. Soft-touch polyester liner and 190T polyester shell. 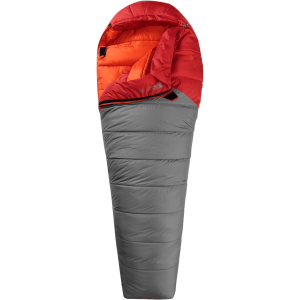 Includes compression stuff sack. Fits campers up 64 tall. Imported. Size: 84 x 34. Gender: Unisex. 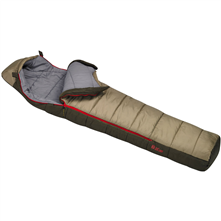 The Slumberjack Ronin -20 is not available from the stores we monitor. It was last seen March 20, 2019	at SunnySports.